It’s time for The Secret Recipe Club! I love receiving my assignment every month because I love the opportunity to explore other blogs and learn about the blogger. This month my assignment was Adventures in All Things Food. 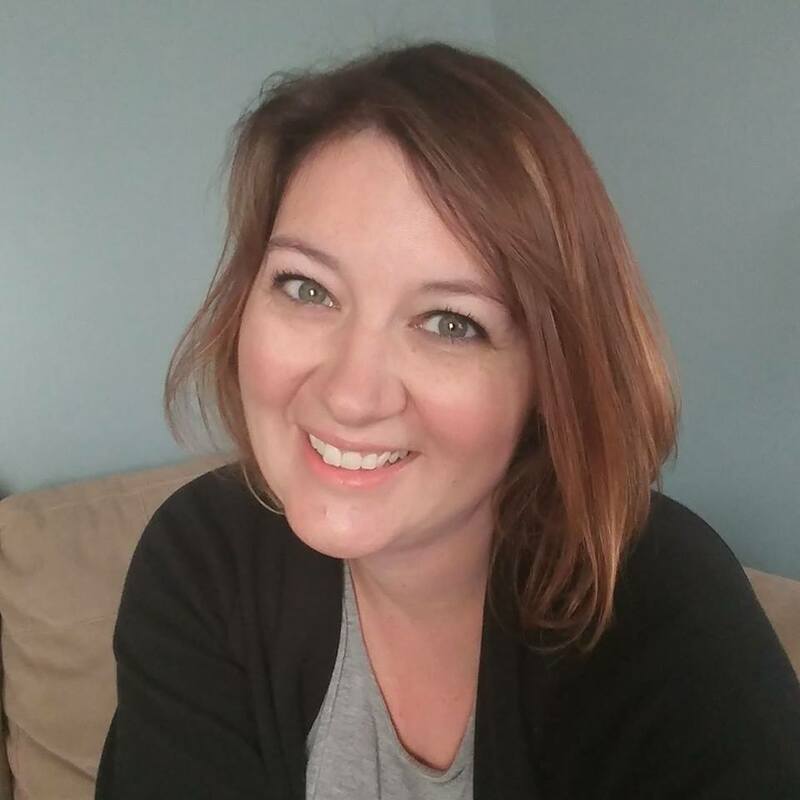 Andrea writes about living on a farm, recipes, crafts and does book reviews. I’m jealous of all your adventures on the farm and the access to fresh food. I would love to have chickens, but living where we do, it’s not allowed. She’s also expecting her third child and I want to wish her a comfortable end to her pregnancy and a quick and easy delivery! 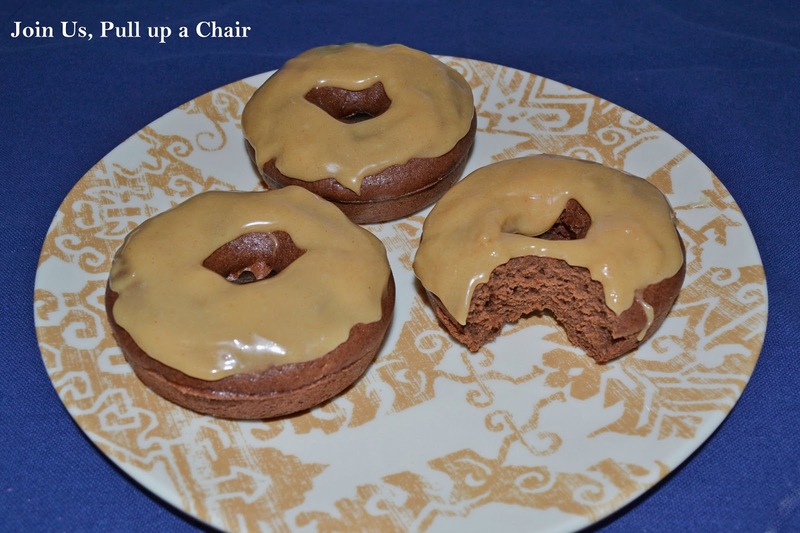 After pouring through all the recipes, I decided on Chocolate Peanut Butter Donuts. I received a donut pan as a birthday gift from my secret mom from my online mom’s forum. Every year we do a secret Mother’s Day exchange and she sent me the pan and a cookbook for my birthday. I love it and it’s a great way to really get to know another OOFer (that’s what we call ourselves). This was my first experience making donuts and it was so easy! I can’t wait to make them more often and experiment with different flavors. Preheat oven to 325 degrees. Grease the donut pan with nonstick cooking spray and set aside. In a small bowl, melt the butter and peanut butter in the microwave. In a large bowl, combine the flour, sugar, cocoa, baking powder and cinnamon. Add the buttermilk, egg, vanilla and melted butter/peanut butter mixture. Stir to combine. Transfer the batter into a pastry bag (or ziplock bag with the corner cut). Pipe the batter into the donut pan. Tap the pan against the counter to release any air bubbles and smooth out the batter. Bake for 10 to 12 minutes until a toothpick inserted in the center of donut comes out clean. Let the donuts cool in the pan on a wire rack for 5 to 10 minutes. Once the donuts are cooled, remove from pan and set on the wire rack to continue cooling. While the donuts are cooling, make the glaze by melting the butter and peanut butter in a medium bowl. Using a hand mixer, slowly add the powdered sugar and vanilla. Add the cream 1 tablespoon at time until you have the desired consistency of the glaze. I made my fairly thick so I could spread it on with the knife. I'm always impressed with homemade donuts. These look amazing. I could enjoy one right now! So glad you enjoyed the recipe!! Love our doughnut pan and even had plans to test out a new flavor (Almond Joy doughnuts, anyone?) this week – they are so easy, aren't they? Thanks for the kind baby wishes. Have a great week! Mmmm. We make muffins kind of like this and love them. First of all, I love that you and your online moms group do that – that sounds so fun! Most importantly, though, those donuts look and sound outstanding. Great choice! What great looking Donuts, sure wish I had one right now. This is a great recipe choice for the SRC. I seriously need to get myself a donut pan. These are perfect! I'm always impressed with homemade doughnuts, and these are no exception!